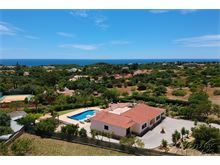 In a peaceful location just on the outskirts of the popular town of Carvoeiro is Villa Freire, a charming property that is well maintained and equipped for a very enjoyable family villa holiday experience. The outside areas have been thoughtfully designed to include a small children's play area, just in case the swimming pool isn't enough to keep the little ones entertained! The large covered terrace overlooks the pool and a covered barbecue and outdoor dining area provide the perfect setting for evening barbecues. 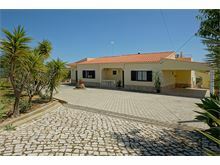 Approximately 1km from a local mini-market, 2.5kms from Carvoeiro town centre and 2kms from the nearest beach. 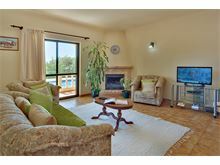 Entrance hall leads to the living room with TV and DVD, dining table and patio doors that lead out on to a covered terrace with steps down to the pool area and garden. 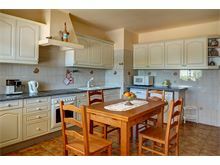 Kitchen with dining table, dishwasher, microwave and washing machine. 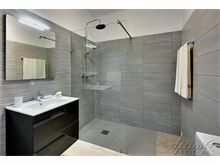 1 double bedroom with en suite shower room. 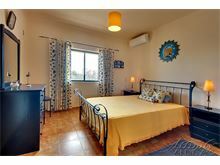 1 double bedroom and 1 twin bedroom that share a shower room. Maid service 2 times per week. Air conditioning (bedrooms only) and WiFi available at extra charge, if required. 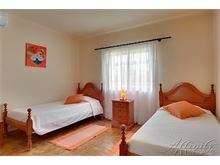 Visited Villa Freire in August and was happy that it looked exactly as it looks on the website. Villa very clean. Had some lovely days by the pool which the kids and adults very much enjoyed. My 3 year old was a pro by the end. Lovely area, a lot of walking involved but we like that - 45 min walk to Carvoeiro if you don't have a car, we didn't find this a problem as some walks have excellent views - also some very good taxi drivers and not too far in one to supermarket for BBQ food ! Some lovely restaurants within 15 min walk so kids not too upset !! We all had a fab time - ages 3,13,17,43,56,67, will definitely go back to area again and would recommend villa to anyone. Villa was excellent. Cannot fault the pool or outside area and facilities re kitchen etc. 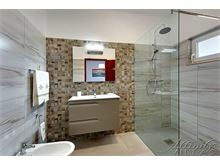 This was our fourth time to use Affinity and Villa Freire was up to the usual high standards. A lovely villa in a peaceful location. A bit further outside Carvoeiro so a car is definitely necessary. Firstly, we had an enjoyable stay. The outside space and facilities were good. The pool was excellent, no eye irritation and I would definitely recommend a pool with saline filtration. The local area is really nice. 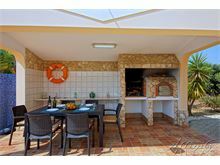 Carvoeiro and Ferragudo are definite visits and there is a resort (Roche) within walking distance which has restaurants and a cafe etc. We did all have a relaxing stay and would definitely visit this area again. We had a really great holiday in Portugal. The villa was as described in the information and was well equipped, you couldn't have asked for anymore even including Tupperware containers for storage, kids plastic cups and bowls. 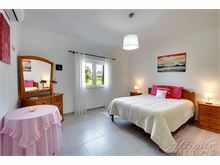 The maid service was excellent and the villa is kept clean and tidy and any issues that we had were resolved quickly. I would defiantly recommend this villa. 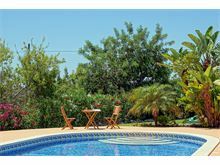 The villa was wonderful, excellent pool and outside Gardens to relax in the inside was above our expectations. Clean and spacious with every thing we needed. Our maid was friendly and helpful we also felt very safe here and not worried of leaving the villa at anytime due to the alarm system. Would definitely recommend Villa Freire. 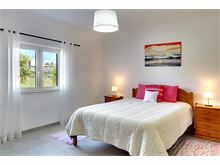 Booked for the first time with Affinity Villas. The villa was beautiful and the pool was exceptional. 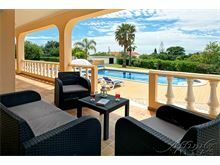 Will definitely return and let my friends and family know all about Affinity Villas in Portugal. This was a pleasant villa. 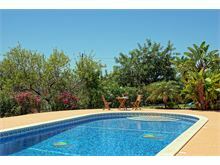 The outside area is fantastic and the pool is great as is the bbq area, the property is also very clean. 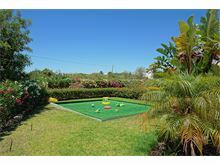 Location is good with beaches, supermarkets and restaurants and bars nearby. Overall a pleasant holiday. 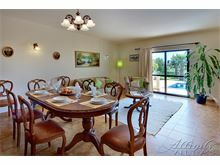 Our third time with Affinity Villas...great service as usual. 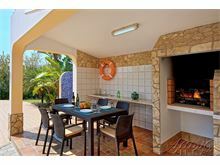 The location of the villa is great and the outside space is outstanding and that's where we spent our time. Time and effort has obviously been prioritised for the outside area to great effect. Another great holiday and very good value.